If there’s one gadget I love road-testing is a beard trimmer. Having had some form of facial hair since the beginning of the new Millennium I’ve tried (and parted company with) plenty. They are, it seems, surprisingly hard to get right. In fact, there are few that tick all boxes in terms of performance, versatility, charge time and reliability. 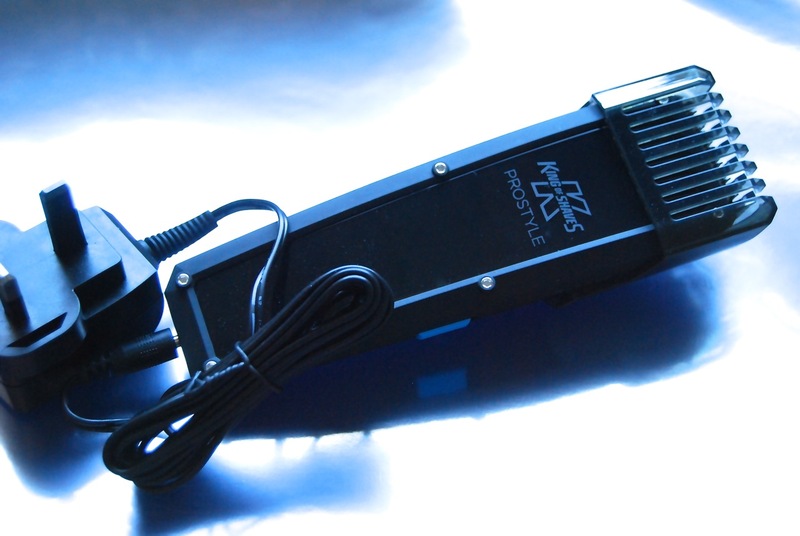 So how does the new King of Shaves Prostyle Beard Styler measure up? Well, it’s not bad actually, has a good charging life and is pretty efficient at powering though facial hair. It has six different length settings – ranging from 0.5mm to 15mm – and above 3mm it goes up in 3mm leaps. What I discovered – the hard way and with the loss of a couple of weeks’ growth – is that the 3mm difference between settings is more than you think. The trimmer I use at the moment has nine settings that go up by 2mm increments which gives you a little more leeway lengthwise so it’s little wonder that I ended up removing slightly more hair than I wanted with my first try of the Prostyler. It also suffers the fate of the majority of trimmers by having a blade that’s a little too wide for precision tidying, especially around the lips where accuracy is important (you really need to buy the King of Shaves Prostyle Multi Styler for that). In truth, though, I very much suspect that any problems I had with it come from the fact that I’m simply not used to the way it handles (imagine using gears again if you were used to driving an automatic) so I suspect that if you came to it as a newbie you’d have absolutely no problems at all. Hi, I’m looking for some advice, recently started growing my beard, managed to get 6 weeks in and enjoying the new look, I’ve coloured it now to give it some defenition with a dark ash brown, and I’ve just been tidying up the out line to keep it neat… But I’m now struggling with the texture of it… Any ideas? Thanks! Hi Chris, can you explain a little more what you mean by ‘texture’?